This weekend the FJMC's Sefer Haftarah will be at the Congregation Beth Shalom, Clearwater, FL. Next week it will be at Congregation B'nai Israel, St. Petersburg, FL. The portion for Terumah in the FJMC Sefer Haftarah scroll, the travelling haftarah scroll that visits a different synagogue each week and contains all of the haftarot, was sponsored by Temple Beth Sholom, Cherry Hill, NJ. Join the FJMC Convention at Fenway Park for the Red Sox and Tampa Bay Rays! We have reserved only 100 seats at sold-out Fenway for our Tuesday evening pre-convention program. You must register for convention to get one of these tickets, and they are going fast!!! Be sure to include the Red Sox when you register for Convention! Options and details for Tuesday night are explained on registration page. Register early for the best choices! The haftarah for T'rumah, though short (only 15 verses) marks a major stage in the development of Israelite religion, which would eventually become what we call Judaism. The parasha details the instructions for the building of the Tabernacle in the dessert, a place where Moses would go for sacred communication with God. The haftarah tells how this structure in the dessert, which also housed the sh'nai lukhot ha-brit, the Tablets of the Covenant, was to be made into something permanent, a Temple. This building was to be done by King Solomon, the third King of Israel. While the details of the construction have a certain level of interest (especially to architects and builders), what is most important is the message that literally surrounds this haftarah. As noted above, Solomon was the third King of Israel. While Saul's reign was short and he rebelled against the Lord (more on this next week), why wasn't David, Solomon's father and widely considered the greatest King of Israel given this privilege? David was known for his greatness in battle. But such a person, who literally lived by the sword, would not be appropriate to build a house that honored the Eternal. Rather other qualities were more important for the builder of this important and holy structure. The haftarah began by telling us "The Lord had given Solomon wisdom, as God had promised him." (I Kings 5:26). Not only that, but the name Solomon in Hebrew contains the word shalom, peace. It was only one whose life was filled with wisdom and peace who would be given the duty to build a House for God. Finally the last words of the haftarah echo the instructions in the Torah. God instruct the people v'asu li mikdash, v'shachanti betocham, And let them make me a Sanctuary, that I may dwell among them" (Ex. 25:29). We expect the commandment to say '...make me a Sanctuary, that I may dwell-betocho-in it." The Torah reminds us that God does not really need a place to live; God presence will be found among the people. So too the haftarah closes by reiterating this notion, "I will abide among the children of Israel, and I will never forsake My people Israel" (I Kings 6:13). 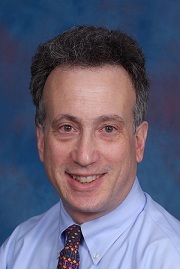 Rabbi Steve Kane, Congregation Sons of Israel, Briarcliff Manor, NY. Mark Druy grew up in the suburbs of Minneapolis, Minnesota. Mark settled in the Boston area in 1981 after earning an undergraduate degree in Chemistry at Brown University and a doctorate degree in Chemistry at the University of Pennsylvania. Mark and his wife Johanna were married in 1984 and live in Arlington, MA. Their oldest daughter, Shaina is a graduate of the University of Vermont with a Bachelors of Science in Finance and their youngest, Naomi, is a junior at the University of Vermont majoring in Mechanical Engineering. Johanna is a self-employed management consultant and is the author of several books on the staffing and management of high technology product development organizations. Mark is a business and product development manager for an analytical instrumentation company in Andover. In their spare time, Mark & Johanna are avid ballroom dancers. Mark is also an accomplished downhill skier and bicyclist. In particular, he enjoys riding his bike for numerous charities including Jewish Big Brothers Big Sisters and the New England Region Tour de Shuls ride (of which he is a co-chair) to support the Tikvah program at Camp Ramah of New England. Last week we inadvertently had Evan Rumack's name on Mark's photo and bio. Sorry for the error! The Yellow Candle™ was created in 1981 by FJMC clubs in Canada, New England and elsewhere to keep alive the memory of the Six Million who perished in the Shoah. The Candle is modeled after a traditional Jewish memorial Yahrzeit candle that burns for 24 hours during periods of mourning and on the Yahrzeit anniversary of a family member. The candle's yellow wax serves to remind us of the yellow arm band which Jews were forced to wear during the Nazi regime. A photo on the candle container shows young people visiting Auschwitz-Birkenau concentration camp. This reflects the importance of teaching our youth the lessons of the Holocaust and of remembering the Six Million. Direct Mail Shipment Order Deadline is February 21, 2013. The Last day for Bulk Shipment Orders is March 6, 2013. Sunday April 7, 2013 is Erev Yom Hashoah - light candles after sundown. Monday April 8, 2013 Yom Hashoah is observed. The Yad Shel Chai program was created by an FJMC club in Jacksonville, FL. The program is designed to provide an incentive for Torah readers to get a personalized Yad with their Hebrew name. Help create a synagogue culture where young people or your Men's Club members who regularly read Torah at Shabbat and minyan services can be recognized for their accomplishments. The program encourages Torah Study, helps increase the number of Torah readers, and provides significant long term benefits to the participant and congregation for minimal cost. The original program envisions that when a student approaches 18 readings, the organizers order a Yad via the order form on the Yad Shel Chai page. The cost is $85 per Yad, plus $15 shipping and handling (regardless of how many you order). If you have any questions, please email YadShelChai@fjmc.org.